Many think that confidence is the absence of all doubt but that is a misconception. If you lose in straight sets to the same opponent… Or if you can’t seem to locate your serve over the course of a set… Or if you are in the midst of a slump, some doubt will probably creep into your mind. Confident athletes have the ability to confront those doubts or push forward despite doubt… Moving forward even though there is some doubt in your mind is at the heart of resilience. If you have some doubt about beating a particular opponent, you can still prepare fully, positively get up for the challenge and push yourself to the limit. Just because you have a slight doubt about your serve, you can still keep going for that big serve. When you confront your doubt, you will be more motivated to challenge yourself and prove something to yourself… and remember, just because you may have doubt doesn’t mean you cannot succeed. Referred to by many as the G.O.A.T. (Greatest Player of All Time) tennis player Roger Federer, at 35 years-old, had doubts even though he entered the season with 17 Grand Slam career titles. Federer, who didn’t win a Grand Slam event from 2013-2016, doubted if he would ever win another Grand Slam event. How is it possible that the third ranked men’s tennis player in the world, who has well over 1,000 career victories, could have doubt in his ability? 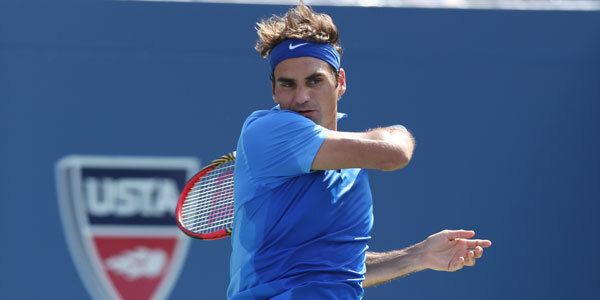 Underperforming in Grand Slam events was taking a toll on Federer. Will your doubt stop you or will you continue to push forward? Not only did Federer win Wimbledon 2017, he did so in convincing fashion beating Marin Cilic in straight sets, 6-3, 6-1, 6-4. Take care of both your mind and body. Prepare to your fullest no matter what situation you find yourself. Be excited to play. Revel in the challenge. If anything is to be possible, you must first believe that it is possible. Follow Federer’s example. Ask your family, friends and coaches about your true ability to perform in your sport. Sometimes outside sources, can give you a clear picture of your true potential. Refuse to let doubt stop you.